Art at Ives is back for its 4th year on June 1 and 2. The show will be on Saturday, June 1 from 1 to 7:30pm and Sunday, June 2 from 10am to 5pm. This 2 day juried art show will feature a great variety of high quality original works and offers a diverse scope of art forms representing every major category. 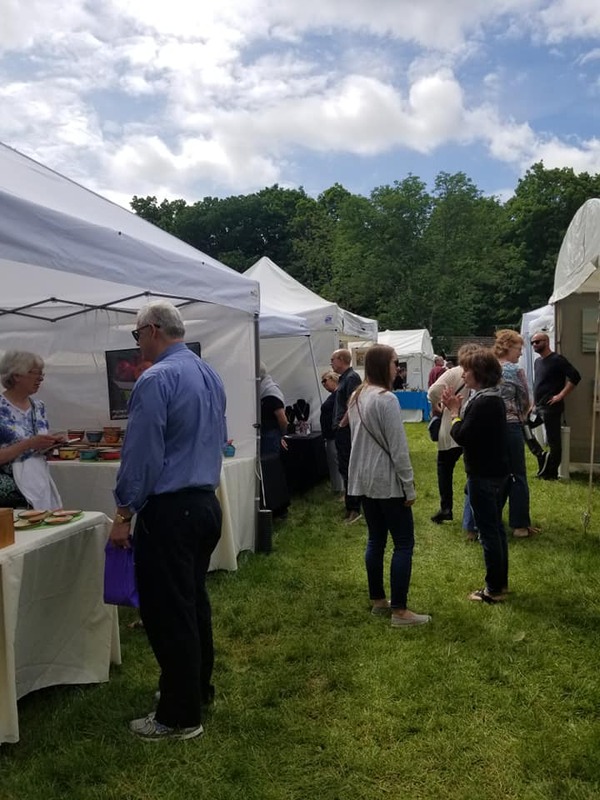 Every year, patrons from the community enjoy attending Art at Ives to shop exquisite and unique artwork, enjoy jazz music by the pond, and participate in artist demos or the wine tasting – a perfect day at the park! A wine tasting along with great food & music, art demonstrations and children’s events will be included. Stay tuned for more information on tickets and the show! Every year we are growing this show to showcase the top notch talent of artists from New England and beyond. Providing the perfect picturesque backdrop, Ives’ lush oasis of natural beauty on Danbury’s west side, hosts world-renowned artists in a wide variety of music and theater genres. The venue pays tribute to its storied roots in classical music while acknowledging the ongoing evolution of the art of live performance. The Ives is proud to work together creatively with many artists and community stakeholders such as the WCSU Art Department, Cultural Alliance of Western CT and Brookfield Craft Center to develop this show, envisioning and inspiring cultural enrichment for the entire family. Enter your information below to learn more information about Art at Ives and Ives Concert Park plus receive a special Buy 1 Get 1 Free admission offer!